Still, he wanted some conclusion to the diagnosis. He called in a second doctor (not any of the three seen the previous day) for a second opinion. After some discussion, it was decided that the rash was not related to the fever. It was two different “bugs” that she “caught” at the same time. The rash was just an allergic reaction to something. I was also told that a white blood count can spike at the onset of a “bug”. 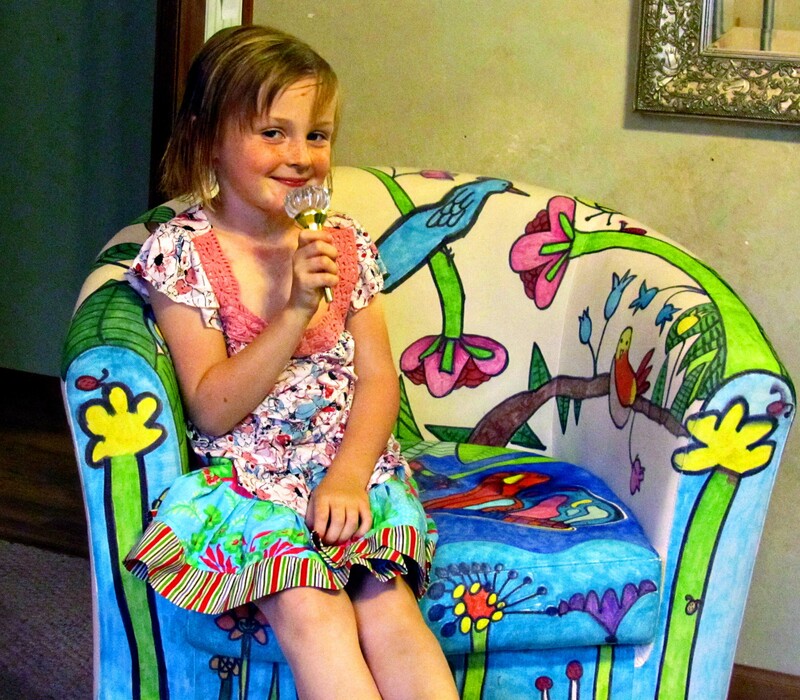 She had a “healthy response” to the bacteria invading her. HOWEVER, a continued raised count would raise alarms, but hers was down. I breathed another silent prayer of thanks. My Eloise was on the mend. She had a second “banging” finger, though, so I gave her the second nail polish I had bought the previous day. (I knew she would have a second finger prick today.) This was a color I picked for myself 🙂 –but gave to her. 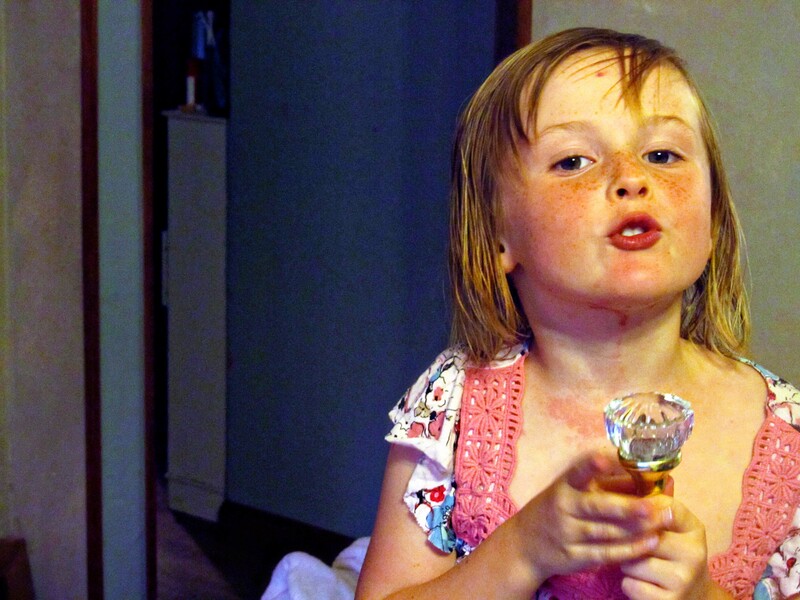 When we finally got home Eloise was so happy that she found a microphone and sang. Supper would come soon, and with everyone feeling better, I knew everyone would need a good supper. I thought PERFECT POTATES AU GRATIN (pg. 226) would be loved by all. 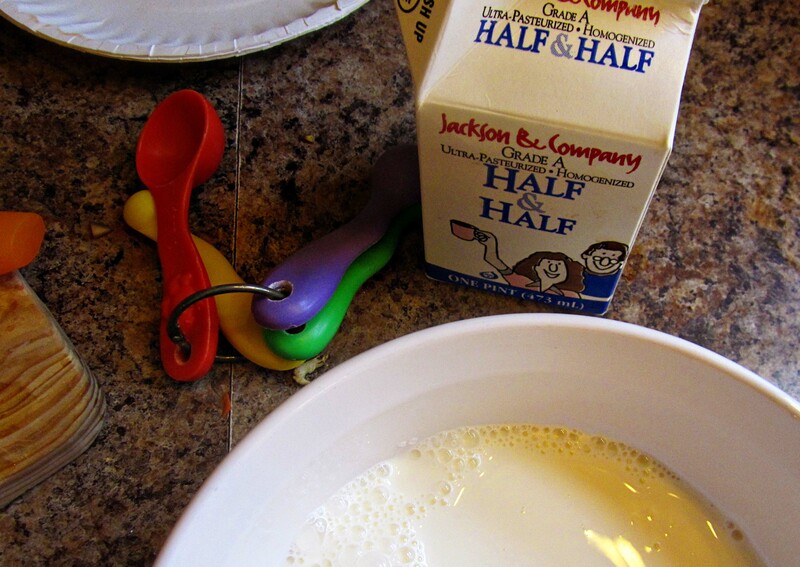 Pioneer Woman’s recipe starts with the usual “heavy cream”, I chose to use half and half. I have seen potatoes au gratin made two different ways 1) a white sauce is made on the stove and poured over the potatoes then cooked on the oven. 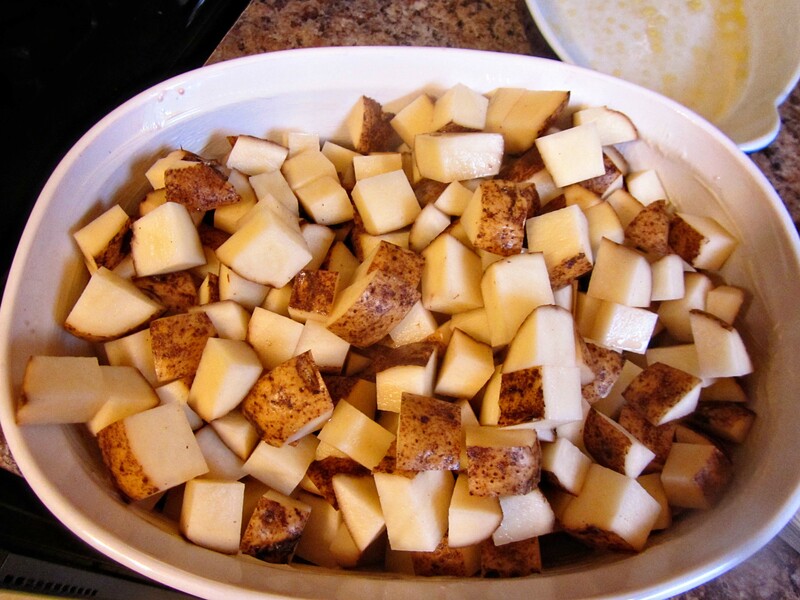 2) cream, flour, salt and pepper are mixed and poured over the potatoes and cooked in the oven. Pioneer Woman uses the simpler way of just pouring all the ingredients over the potatoes (without cooking the sauce first) and baking them altogether in the oven. I got to wondering if there was a difference between Potatoes Au Gratin and Scalloped Potatoes. Were Au Gratin Potatoes just a fancier way of saying the same thing? Potatoes au gratin and scalloped potatoes are both forms of creamy sliced potatoes cooked with seasonings. Although there are many different recipe variations for each, the difference between them is that scalloped potatoes never have cheese and potatoes au gratin always have cheese. The words, “au gratin” mean “with cheese.” I just don’t know in which language. 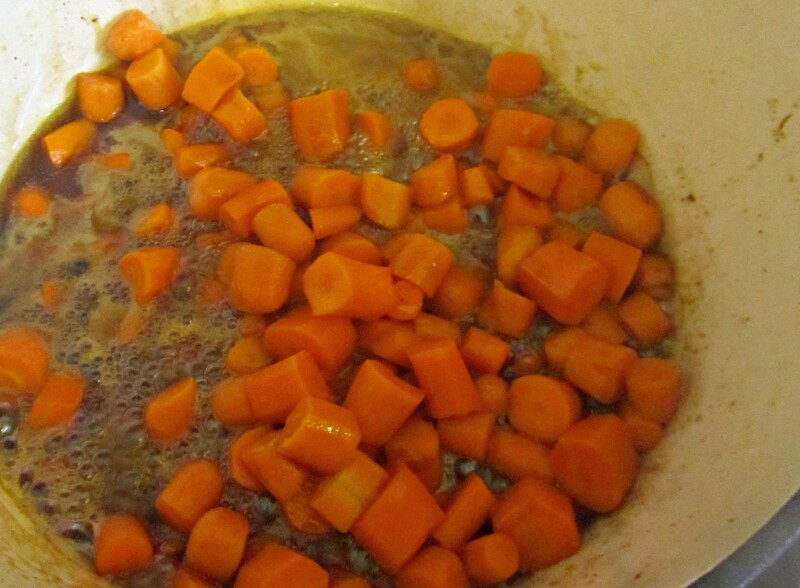 And now for the WHISKEY-GLAZED CARROTS (pg. 224). They have butter. They have brown sugar. They have whiskey. They have a great taste. I looked out my kitchen window, and it was over-flowing with kids. I wondered if any would show up for supper. Our two favorite neighbors stayed. I served BBQ Chicken legs–also from PW’s website along with the PERFECT POTATOES AU GRATIN and the WHIKEY-GLAZED CARROTS. 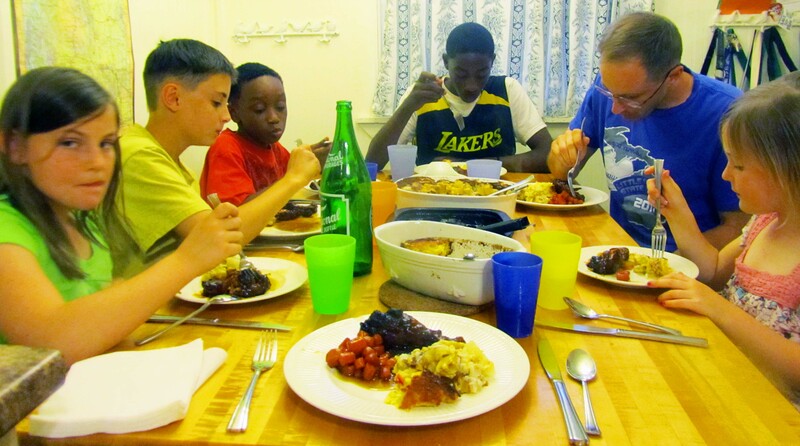 After supper, I cooked for the weekend, as we were expecting eleven people for Sunday Dinner. When I have a large crowd and I don’t know what the people prefer, I often make a Mexican Dinner. With many dishes served individually, people can add what they want. Also people on special diets can avoid what they want–dairy, meat, gluten, etc. . . I planned having a Load Your Own Burrito with meat, lettuce, rice, refried beans, cheese, etc. . . But I also wanted one cream heavy dish that you would expect at a company dinner. WHITE CHICKEN ENCHILADAS on page 186 sounded lovely creamy and hot. 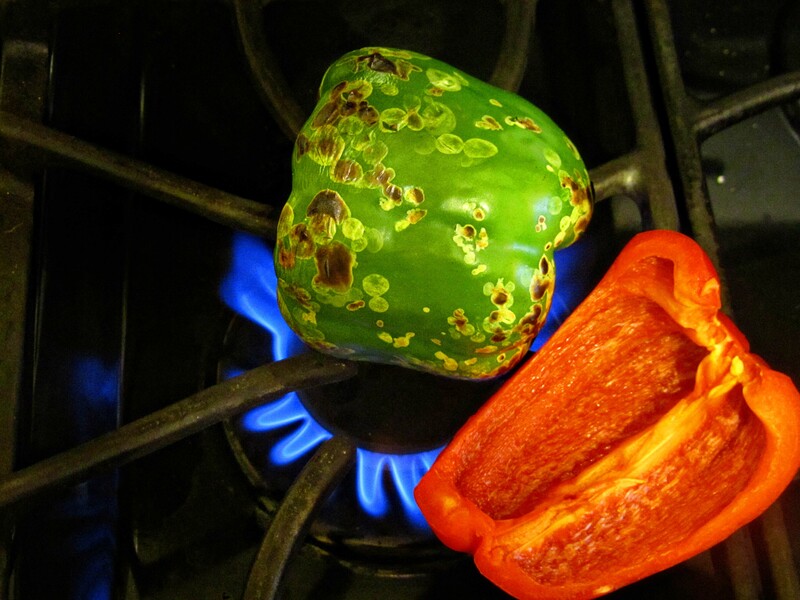 Roast some peppers. I had red, green, and yellow for a colorful mixture. Peel of the pepper’s skin. 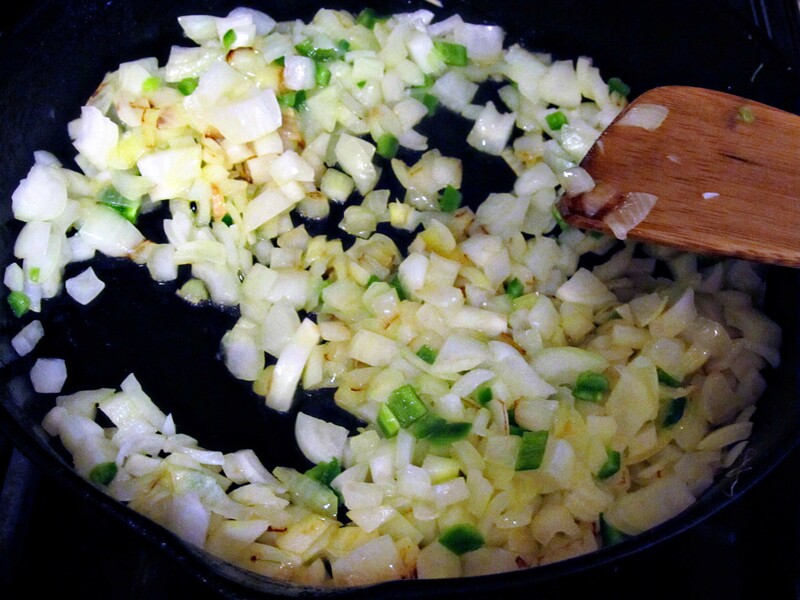 Saute onions and hot peppers in canola oil. 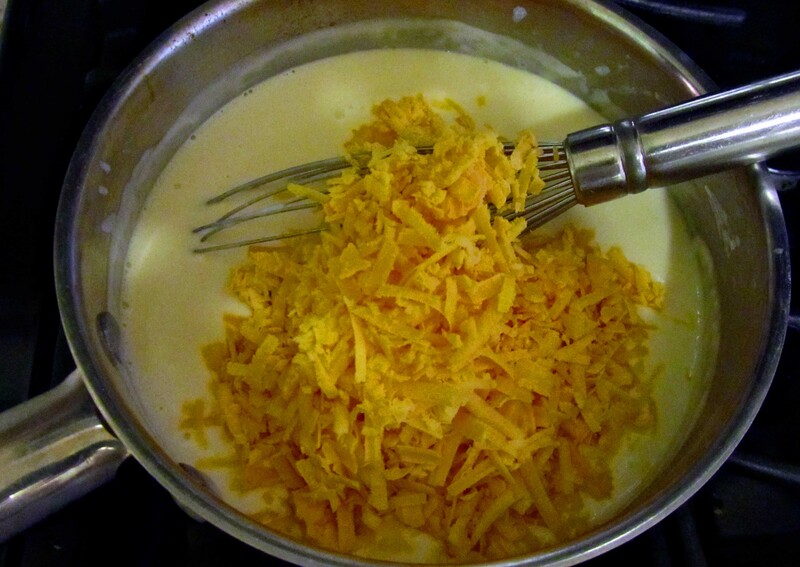 Make a white sauce with cream and cheese, and then add shredded chicken. And here is where I added an additional step. PW uses the chicken with peppers and onions in cream sauce all mixed together. I decided to separate mine. 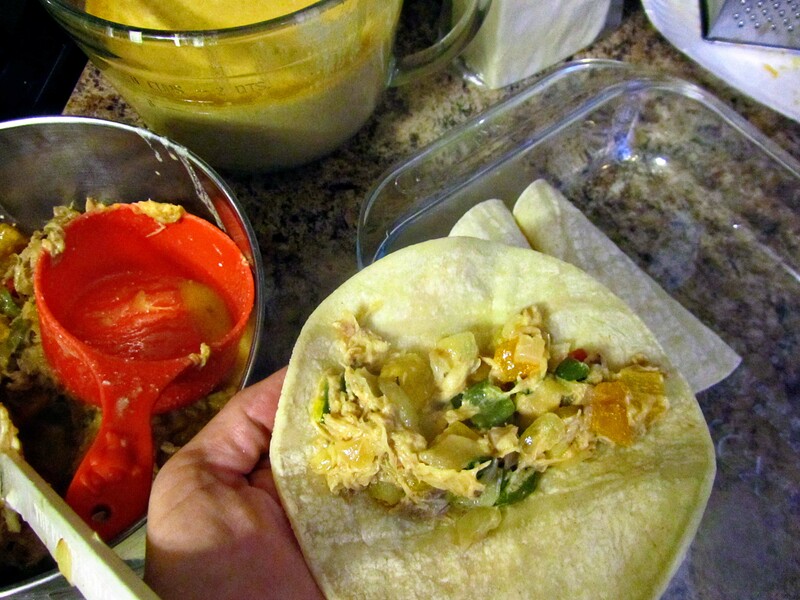 My favorite Red Chicken Enchilada recipe adds this step, so I added it here. 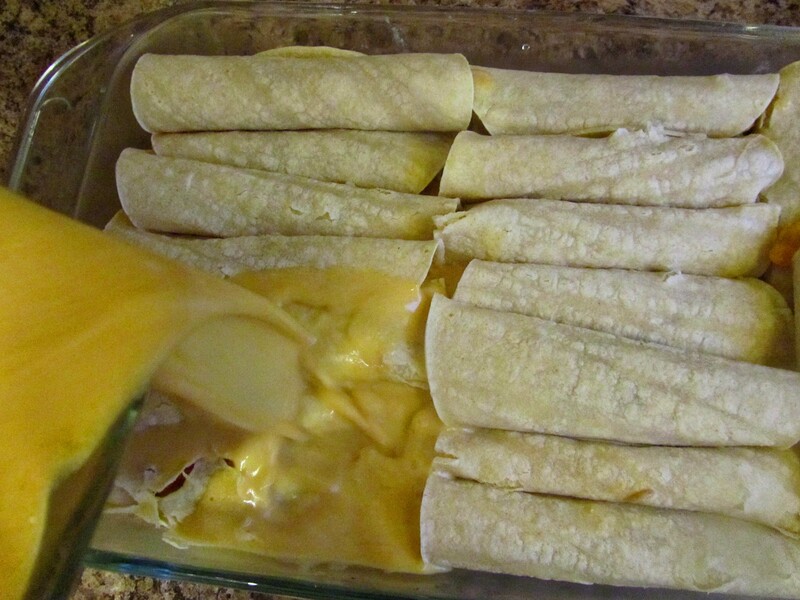 Roll the tortillas and then pour on the cream sauce. I froze my double recipe for the weekend. This recipe freezes well. Now I could head to bed. I had a little girl who was feeling better. 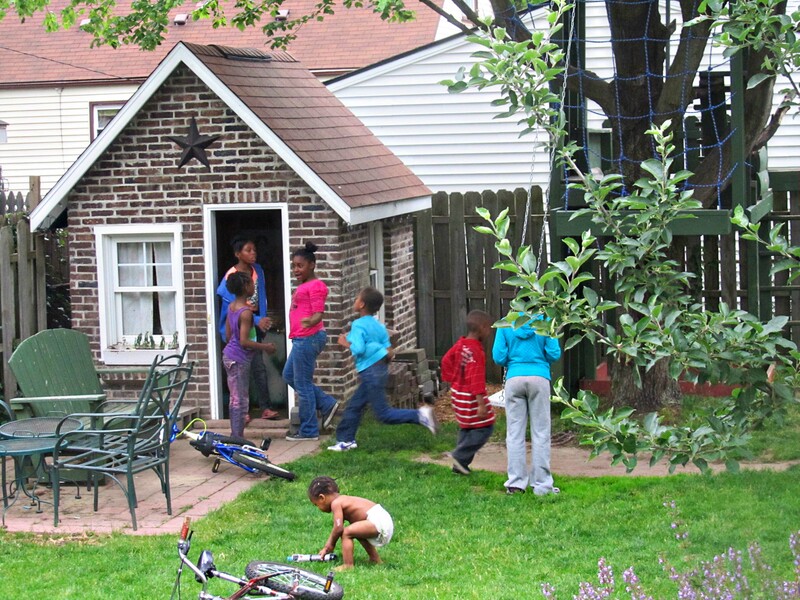 My yard was filled with kids. Our two favorite neighbors stayed for a supper and everyone ate well. I had food in the freezer for the weekend. I had friends and family coming this weekend. I felt very thankful. Thankful for the simple things like good food, good health, and good friends. So I paused and thanked my SAVIOUR. 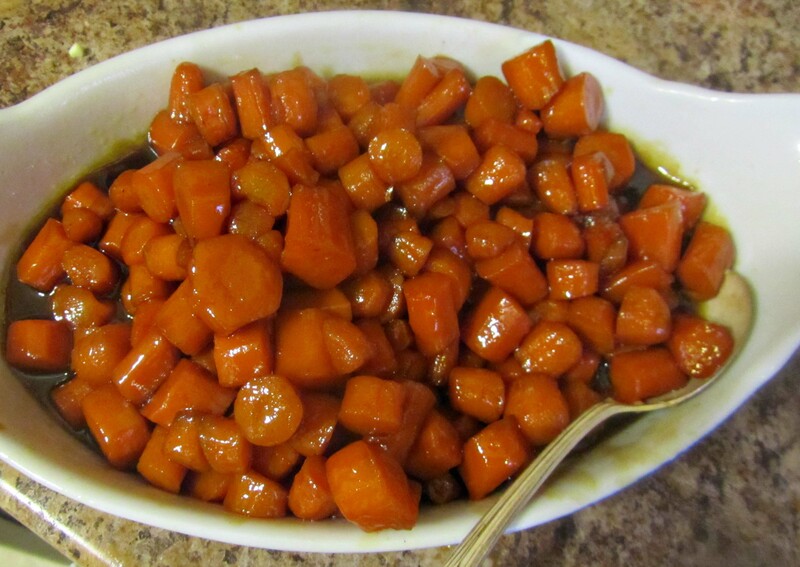 COMMENTS: The kiddos loved the WHISKEY-GLAZED CARROTS, but they are a bit sugary. I will make them again, but for a special treat, not an everyday meal. The PERFECT POTATOES AU GRATIN were fairly simple and straight forward. 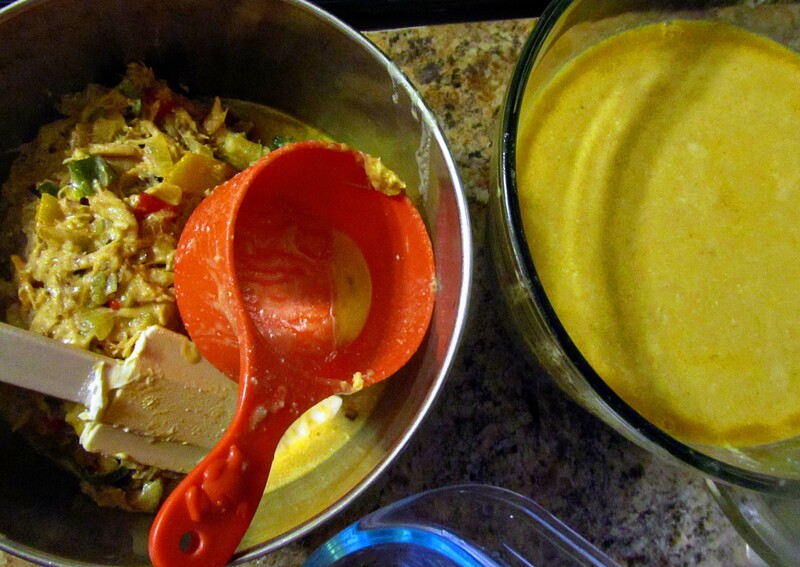 On the WHITE CHICKEN ENCHILADAS I substituted half-and-half for the suggested heavy cream. I wished that I hadn’t. This dish needs the heavy cream. I also could have added a little more heat. The recipe called for 1 jalapeno, but I doubled the recipe and didn’t double the heat. I love heat with cream. This entry was posted in Recipes and tagged cooking ree drummond's cookbook, difference between augratin and scalloped potatoes. Bookmark the permalink. 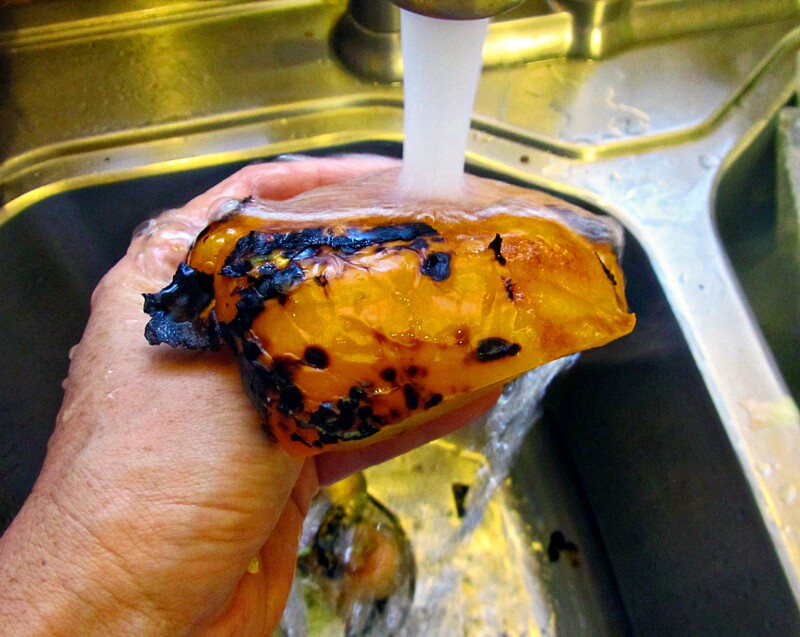 a “gratin” is actually the vessel this type of dish is cooked in…. it’s french of course! and a french gratin is usually some type of vegetable which is layered in the dish then topped with bread crumbs and sometimes cheese then baked till bubbly and crispy. So hard for me to concentrate on the recipes when I needed to know the diagnosis! I love the doc’s comment, and the glazed carrots look delicious. music. I relate to it!